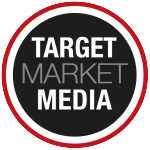 It is not a surprise to me that Ken would be at the top of his game at Target Market Media. He is the one person I truly respect in the publishing business. He is extremely knowledgeable and a great resource when it comes to how individuals and companies should market themselves. Everything I know about success in publishing, I learned from Ken when he hired me as the Orlando publisher for Broker Agent Magazine. He set such high standards for everyone he worked with and was committed to their success. I am very honored to recommend Ken. He is a winner at anything he does.